In the task list, click the More Options menu at the end of the row with the task you would like to edit and then click the View icon. Review the task details. 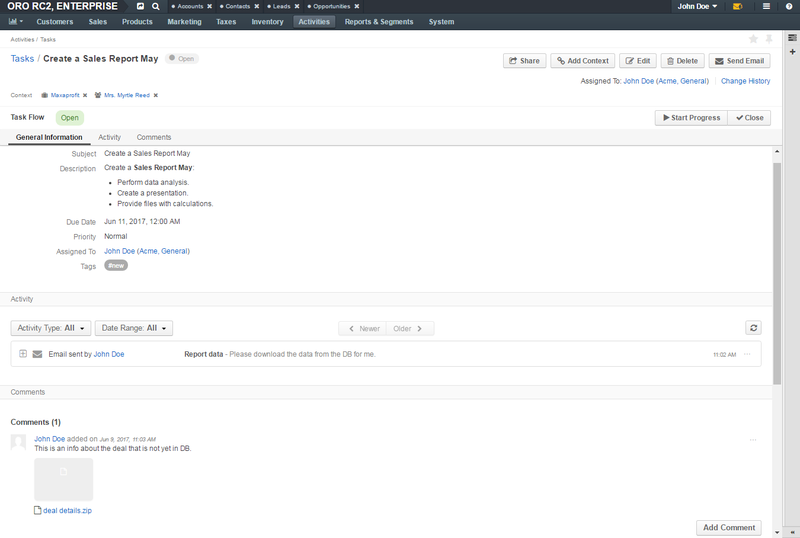 For the description of the fields, see Detailed Task Information. 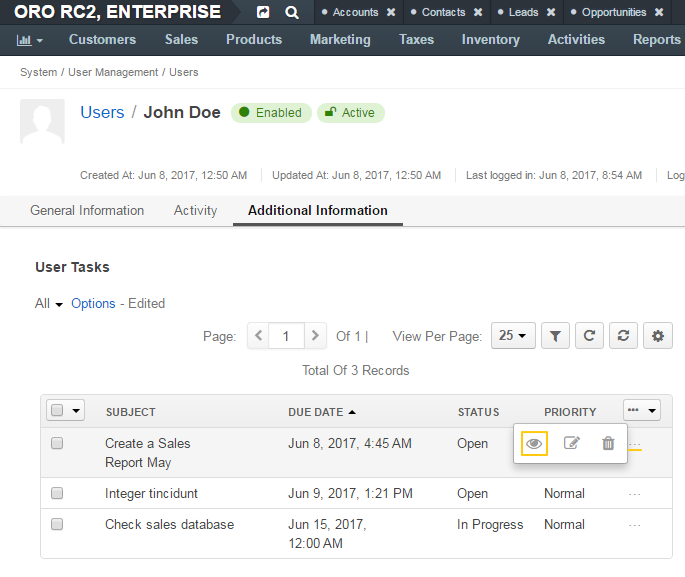 Entity records that are specified in a task context have the task displayed in the Activity sections of their view pages. Collapsed preview enables you to see who has assigned and updated the task, the task subject, short description, status, and when the task was created. Preview task details inline by clicking on the task in the Activity section. The task box expands to reveal the details. Alternatively, you can navigate to the task record and see the task details on a dedicated page: click the More Options menu at the end of the task header and then click View Task. For the description of the fields, see Detailed Task Information. You can view a task from the My Calendar page and the Today’s Calendar widget. Click on the task cell to view the Task Information card. On the task card, click View to open a task view page. You can view a task from the My Tasks sidebar widget. Click the task on the list to open the task view page.